“Lofty (yet unsubstantiated) claims of ‘high-quality teaching’ or graduates who ‘go on to start amazing careers in a variety of well-known companies’ don’t cut it for international prospects,” writes Megan Brenn-White for Inside Higher Ed. To this end, the author suggests that institutions with positive international rankings should focus on promoting awareness of their rankings or awards. For those with a less compelling ranking or awards record, the emphasis should be on testimonials from students and alumni. Finally, the author argues that institutions can be more concrete about their commitment to quality by promoting awareness of initiatives they are undertaking to enhance specific aspects of their institution. In the absence of any data on Indian students studying abroad, the government has launched a registration module for them so they could be reached in case of emergency. For the full story, please visit The New Indian Express. The past five years show a “national trend toward a steady rise in the number of overseas students arriving in Canada,” reports the Edmonton Journal. The article notes that Manitoba has nearly doubled the number of international students studying in the province since 2011-12, while Alberta has seen a 40% increase and Saskatchewan has seen a 24% increase over the same period. The article highlights how specific institutions in AB have promoted themselves to international students and how they benefit from growing international cohorts. “Internationalization is important because the world is becoming more globalized and it’s important that students and staff have the capabilities to work well with each other,” says NorQuest College Chair of Graduate Studies Ron Horton. Western President Explores the Many Values of Intl. Ed. “The intrinsic value of developing a broad world view through international education is self-evident,” writes [CIEC Academic Member] Western University President Amit Chakma. The author highlights a number of strides the federal government has made to boost the role of international education in Canada, which include rebranding the country as an education destination, improving the Express Entry program, and renewing the country’s commitment to study abroad. Chakma also takes time to remind readers that in addition to the country’s ambitious targets, “what’s more important to consider is the philosophy behind the idea, along with the merits of pursuing such a policy more aggressively to better support the development of our future global citizens.” Chakma concludes with a discussion of the barriers currently faced by students looking to pursue study abroad and how institutions and governments might better address them. 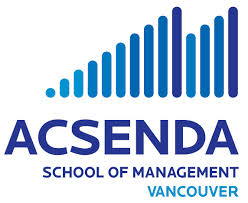 Canada-based CIBT Education Group has sold [CIEC Academic Member] Acsenda School of Management in Vancouver for around CAN$5m, to an undisclosed multinational investor. Proceeds from the sale will go towards CIBT’s accommodation arm and to identify future acquisition opportunities in the international language and career college sectors. For the complete article, visit The PIE News. “We need to start shifting our focus from the benefits [international] students bring, to ways that we can help them succeed while they are attending our institutions,” writes Colin Aitchison for the OUSA. Aitchison critiques the ways that current discussions about international students talk about the “benefits” these students bring to Canadian universities, such as “unique perspectives in class discussions” or “a significant economic impact.” While these benefits are real, the author writes, they also draw attention away from the significant barriers that international students face at Canadian institutions. Aitchison outlines several ways that institutions can shift the focus of this discussion by better supporting international students.